Every time you plug a USB drive to a computer, the system leaves some junk files in it (like thumbs.db, .trashes, .ds_store or .Spotlight-V100) that are not really necessary and can get really annoying. 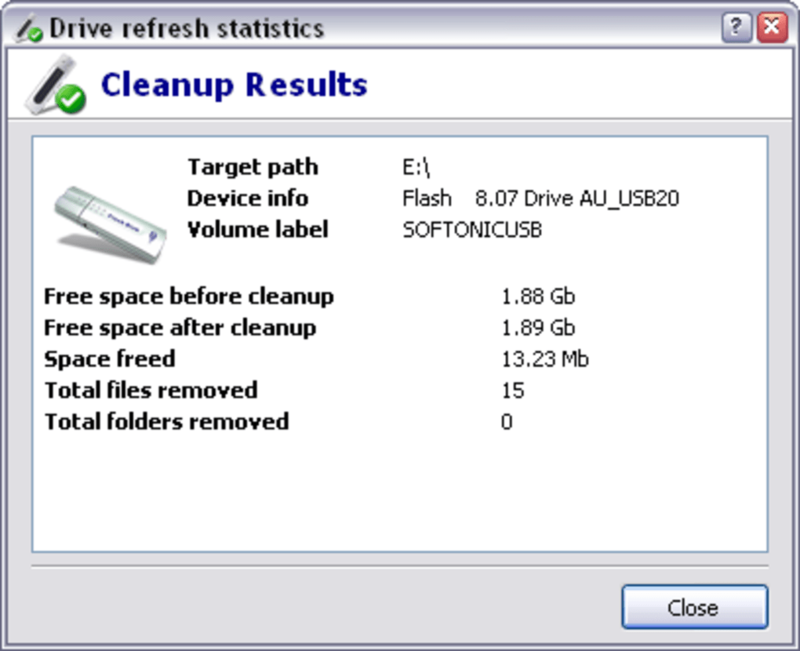 With USBDriveFresher you can easily remove all those traces from your USB drive every time you connect it to your computer. 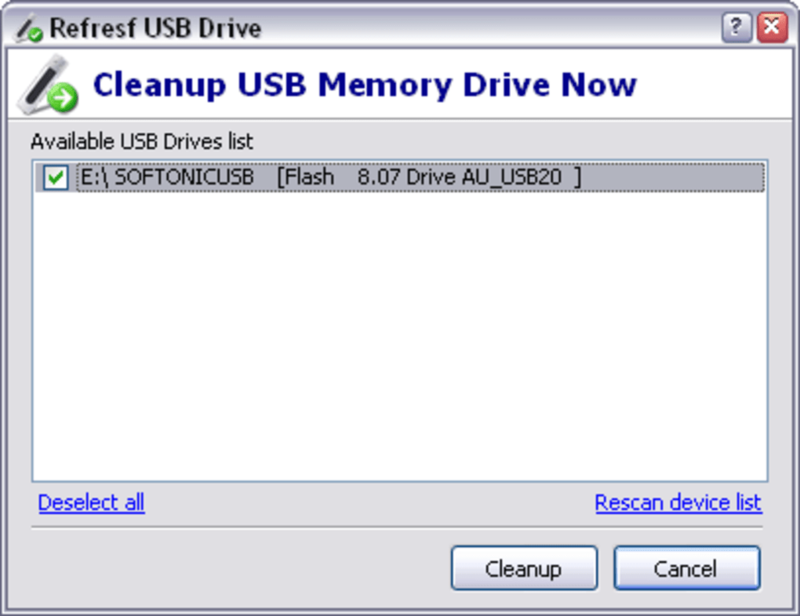 The program can be set to clean up the USB drive automatically as soon as you plug it into the USB port, with the option to do it in the background so that it doesn't bother you with dialog windows, confirmation requests and the likes. The best thing about USBDriveFresher is that you can customize the list of files the program will look for and erase from your USB drive. This means that you can adapt the program completely to your needs, and set it to erase not only those useless junk files, but also any other kind of data you usually carry around in USB drives and delete on a frequent basis. USBDriveFresher is dead easy to use. The program sits unobtrusively in the System Tray, from where you can access all its main options. The only drawback I can think of in this little handy tool is that it doesn't include the list of deleted files on its report. 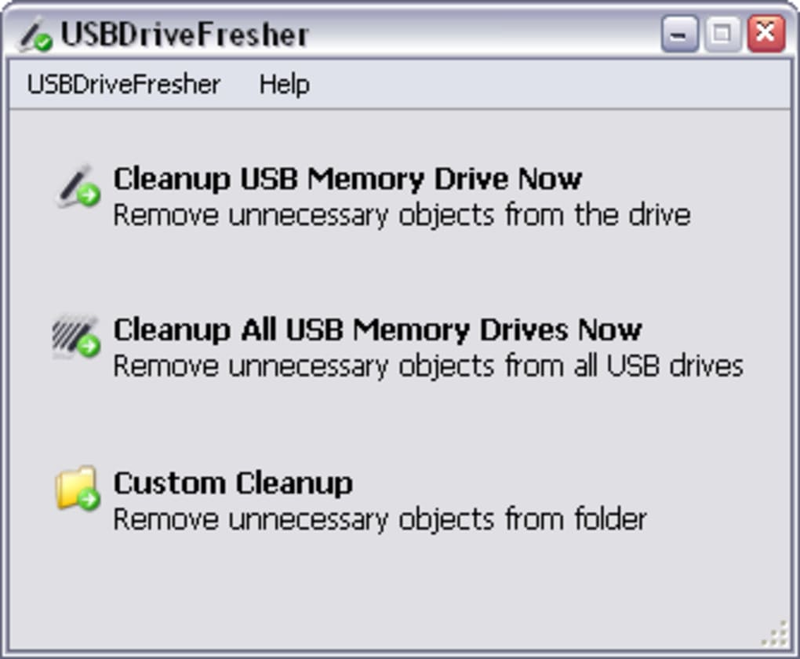 With USBDriveFresher you can easily get rid of all those useless system files that the computer always stores in your USB drives. What do you think about USBDriveFresher? Do you recommend it? Why?